Hello, my name is Adam and I am the Founder and Editor-in-Chief of Adam's Auto Advice. I like anything with wheels and I am especially passionate about cars. I've worked in numerous automotive related jobs, which includes being an auto consultant for a short movie, and have generally always been obsessed with the latest and greatest four-wheeled vehicles. Currently I am a full-time Auto Journalist and write for several different websites, which includes Coed Magazine. I am a member of the International Motor Press Association (IMPA) and the Washington Automotive Press Association (WAPA). I created Adam's Auto Advice to fuel my passion for writing and talking about anything automotive. I also like to share personal happenings once in awhile. Think of me as your “Car Guy”you can always turn to. 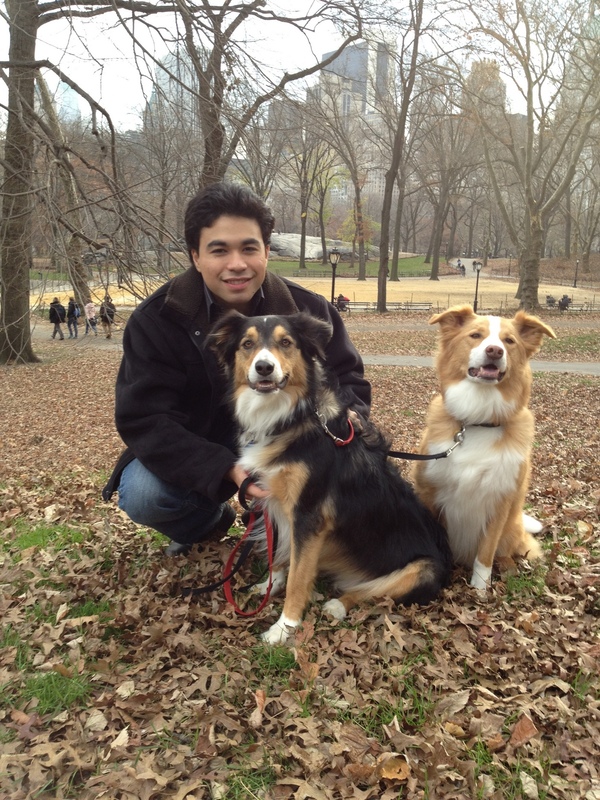 I also publish Singing Dogs, a blog about my two great “singing dogs.” (See below!) You can also checkout my personal blog where I mostly talk about web related topics. These are not all Frequently Asked Questions (FAQS) but are real questions people have sent me. What do you do? I blog and write about cars! Is your blog awesome? Yes! What are your qualifications? I love cars and I write about them. I have worked in the auto repair industry and think about cars waaay too much. (I also watch and rewatch TopGear episodes!) If you want me to brag again you can see above I'm an accredited auto journalist with IMPA and WAPA. What does your blog cover? Anything related to cars and “Auto Advice” but occasionally I like to focus on other topics I am interested in. What do you look like? Are you cute? Mmmm… decide for yourself! Please visit the National English Shepherd Rescue to donate or find a great English Shepherd that could become your friend and companion. Many of the links and ads displayed on this website are affiliate links. These links help keep Adam's Auto Advice free and covers costs for maintaining the website. Adam's Auto Advice does not track user activity outside of this website, however we do use Google Anayltics to track unique visitors, page-views, and other information that is useful to making this blog better. Third party cookies will track activity via affiliate links so that we may get credit for purchases. In addition advertisements likely will have tracking software and cookies as well. We are not responsible for information that third parties collect about user data. If you would like opt-out of being tracked by third parties affiliates please make sure to clear you cookies often and select that you would like to “opt-out” from tracking. No part of this blog or the content on this website may be copied, reproduced, or used without the express written permission of the author and owner of Adam's Auto Advice, Adam Yamada-Hanff. I regularly check the web for spammers and sploggers using Adams Auto Advice and the content.